Holmshill School was a secondary school in Borehamwood. Holmshill School was established like many other local schools in the early 1950s. 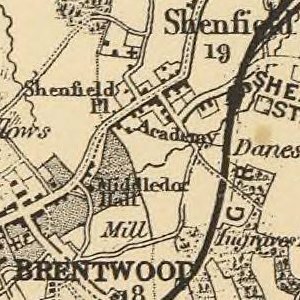 Having had a long life under its own name as Holmshill School in Thrift Farm Lane, with the millennium reorganisation of local schooling, it became the second site of Hertswood School, known as Hertswood Upper School. 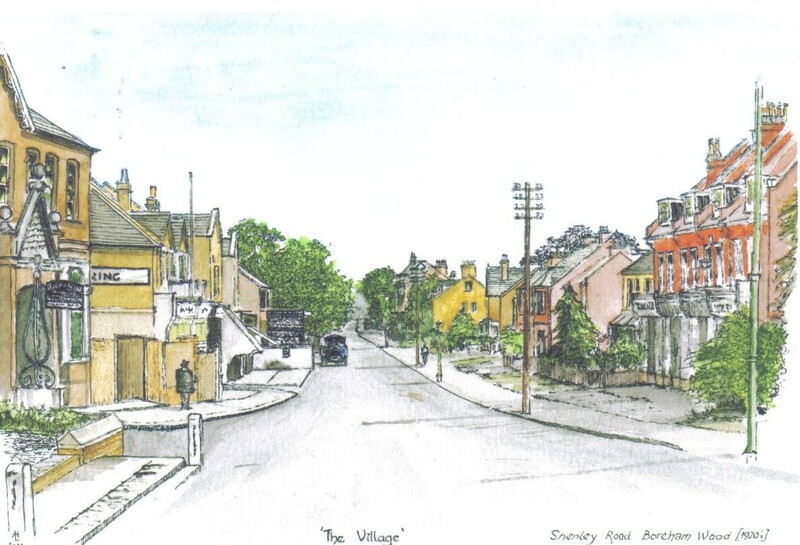 In November 2013, the academy announced plans to move the entire school to new buildings on the Cowley Hill site, funded by the sale of the Thrift Farm Lane site which would be demolished for housing. In March 2014 plans were pushed back to extend the consultation period. A planning application was submitted in December 2014 for the new academy, temporary classrooms and the residential development on the Thrift Farm Lane site. This was part of the current schedule to move all students to the Cowley Hill site in December 2015 and open the new academy in January 2018. No, it?s not the parade of shops you mention, it?s Middle Row which was demolished in 1889 and was situated to the south of the parish church literally in the middle of the High Street! 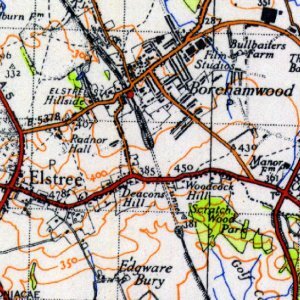 My parents moved to 1 Thrift Farm lane Borehamwood in 1947 from London, the farm was next to their house, it was a dirt track leading to the house. In front of our house was a cornfield we often had pigs come in our front garden and i would walk to the farm to see the animals particularly the sheep. They built a tarmac road when Holmshill school was built, and we no longer had a wonderful view of lovely cornfields was such a shame. We moved to 12 Wansford Park during August 1960, moving out during 1967. My parents had managed to wangle themselves into a house in London W10 which was due to be demolished by the local council. Thus the council moved them into a much better place (inside toilet!) opposite Tempsford Green in Borehamwood. I remember the following shops along Manor Way: Martins, Bishop’s, the Co Op and Dewhurst. The leather business and ’Leatherville’ was set up by Arthur Garstin, not GARSTON. I was brought up in Borehamwood - first in Wansford Park and later in Theobald Street. My mother worked at Keystones in the 1940 before she was married. She later worked at home which a lot of people did. You would often see people walking around Boreham Wood with boxes filled with piecework for the factory. Extinction Rebellion continued their second week of protests today, after bringing bringing parts of London to a standstill and gluing themselves to trains last week. This is unequivocally, categorically, unambiguously (unless of course the men with fat cigars change their minds) the end of the road for the Avengers. Endgame opens in the UK today. 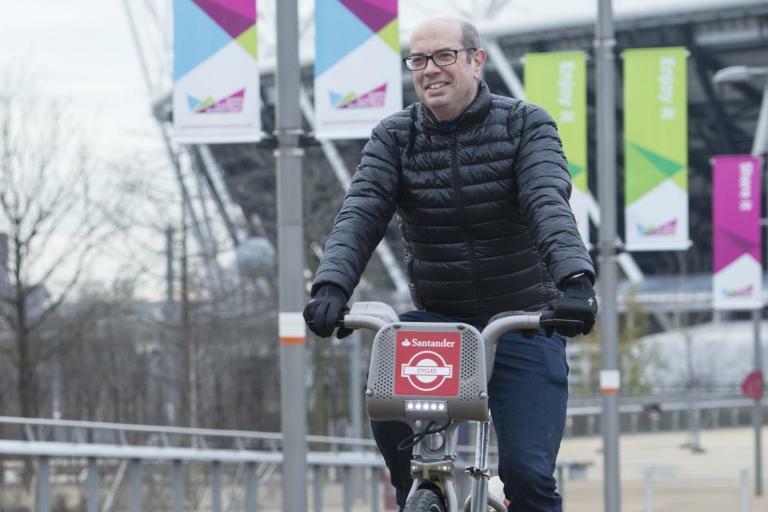 A Hatton Garden jeweller has been accused of deliberately ramming former cycling czar Andrew Gilligan off his bike in an alleged road rage attack. An investigation has been launched after three animals were killed in a fire in Greenwich. 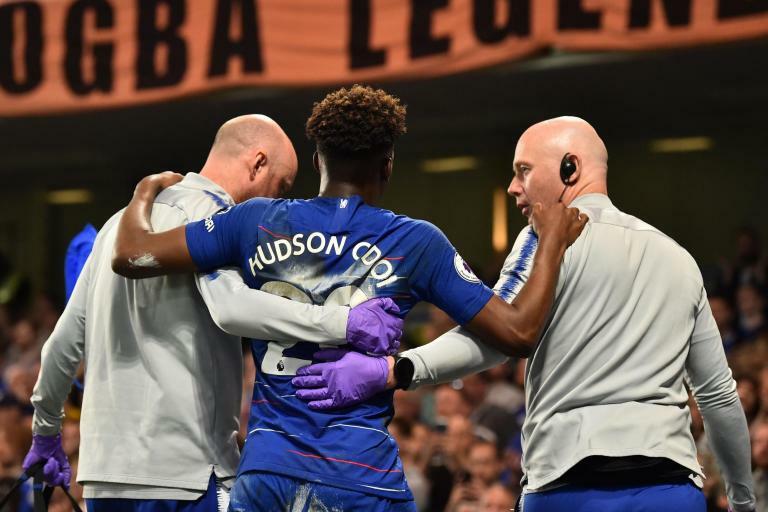 Callum Hudson-Odoi is facing a significant spell on the sidelines after rupturing his Achilles tendon in Chelsea’s 2-2 draw with Burnley .